Birthday cupcakes are my favorite. While I do enjoy a good birthday cake, cupcakes make serving and decorating so much easier. When you are busy and short on time, you can still wow the birthday boy or girl with something fun like these easy beach birthday cupcakes! Don’t have a birthday coming up? No problem! 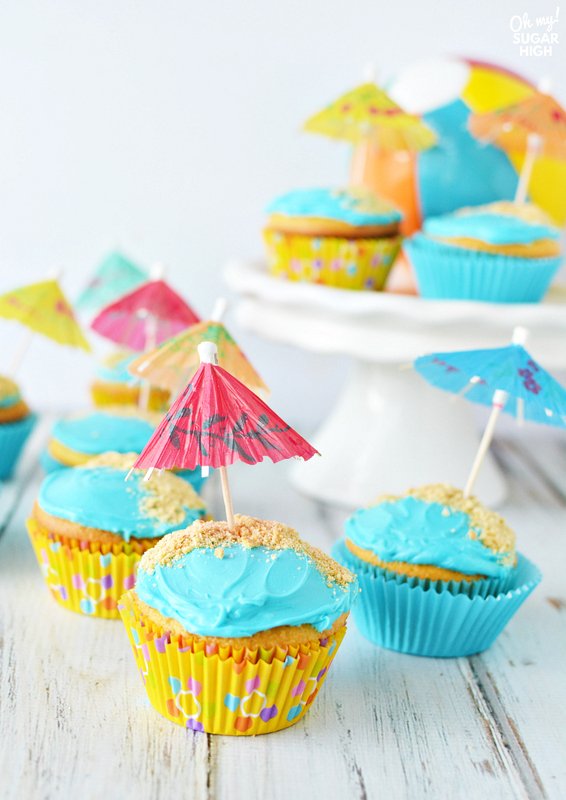 These beach themed cupcakes from would work so well to bring to your next pool party or other summer get together as well. 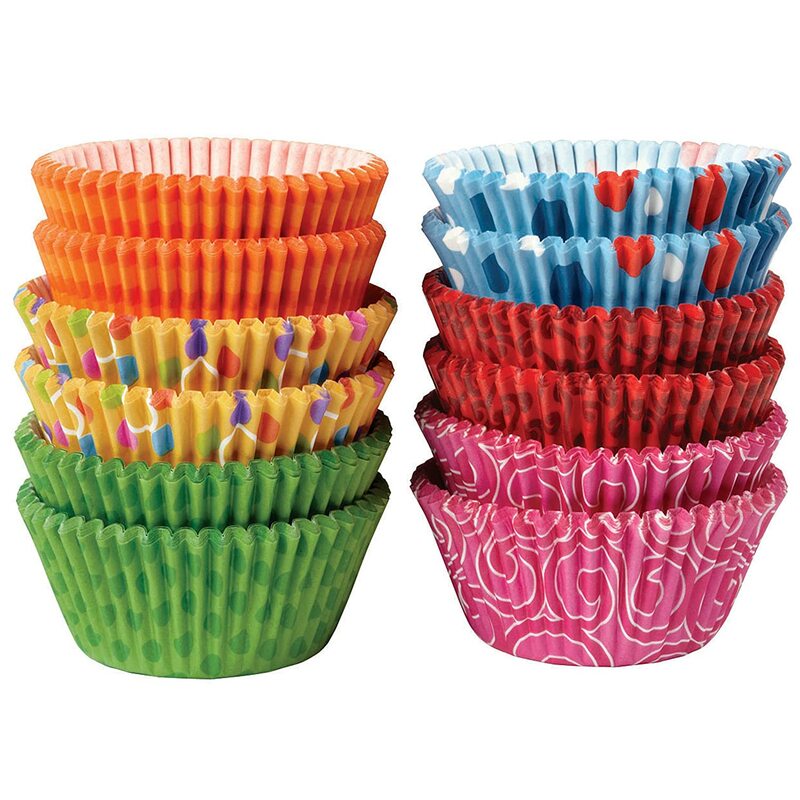 You can make these cupcakes using colorful cupcake wrappers and drink umbrellas. 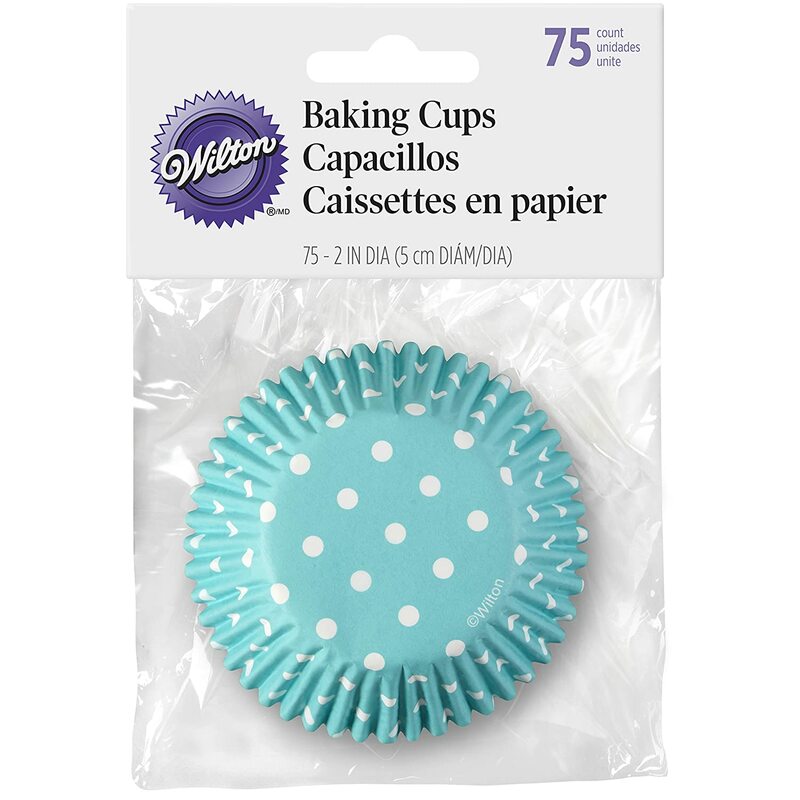 Amazon has several fun options to choose from to make these cupcakes pop on any table! 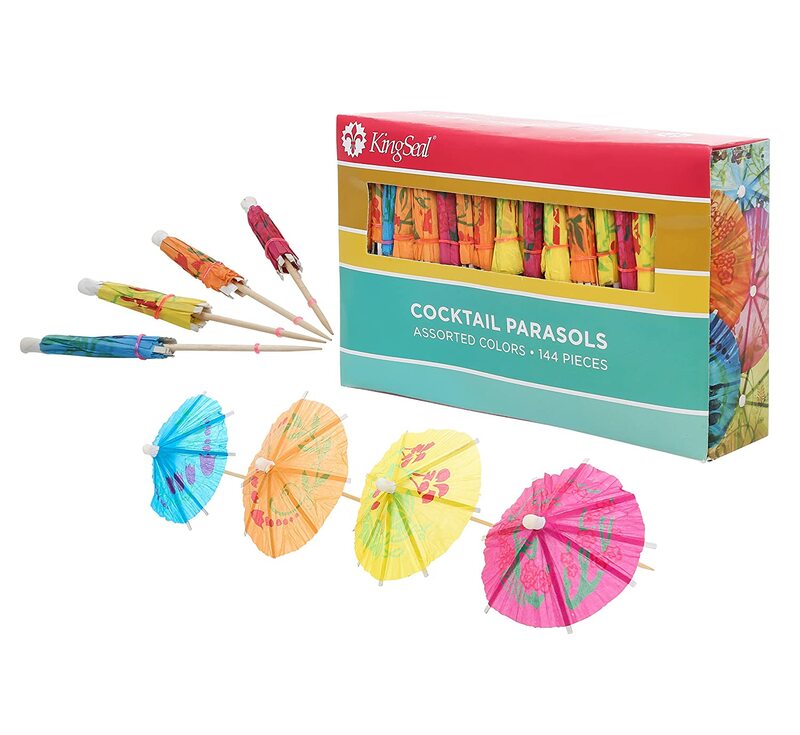 Have fun mixing and matching different liners or use all the same color and let the umbrellas offer a variation. For the food coloring, Americolor Soft Gel Paste in sky blue was used but Wilton Color Right would also work well. You can use your favorite homemade vanilla cake recipe or go the easier route with a cake mix. There plenty of ways to make a box cake mix taste homemade. Freshly made buttercream frosting would be extra delicious but you can get by with a store bought tub frosting as well. You’ll need to crush your graham crackers up finely. A rolling pin and a sealed baggie work great for this. Add an umbrella for a little colorful shade on your beach and that is all there is to it! 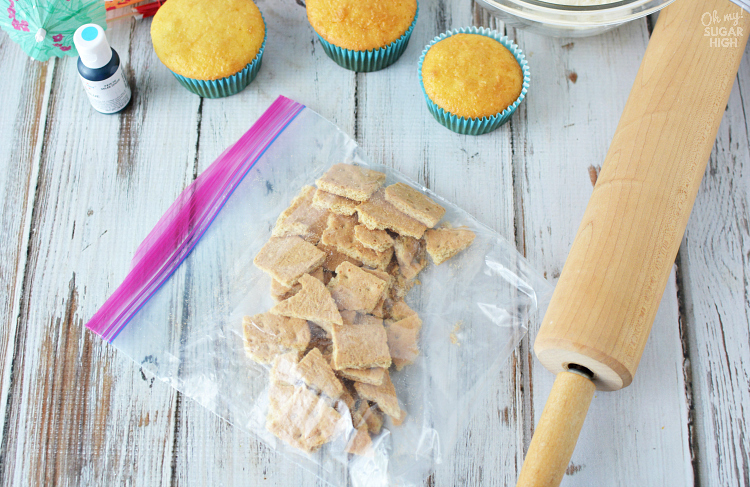 Place graham crackers into a resealable bag and crush with a rolling pin until you have fine crumbs. 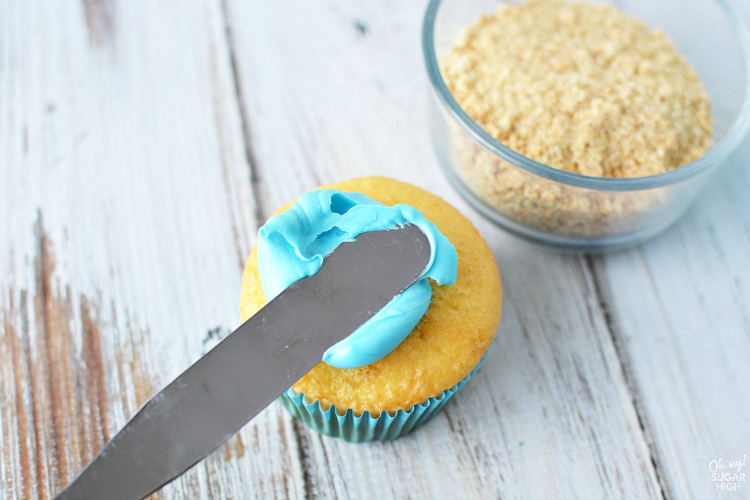 Add food coloring to white frosting to color it blue. 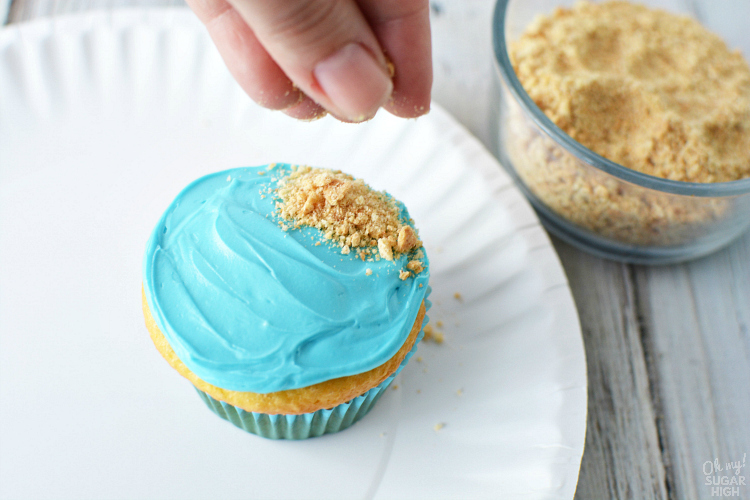 Spread the frosting onto the cupcakes and sprinkle with a generous amount of crushed graham crackers onto one side of the frosting to create a sandy beach. Add an umbrella to the cupcake! Repeat until all of your cupcakes are frosted. 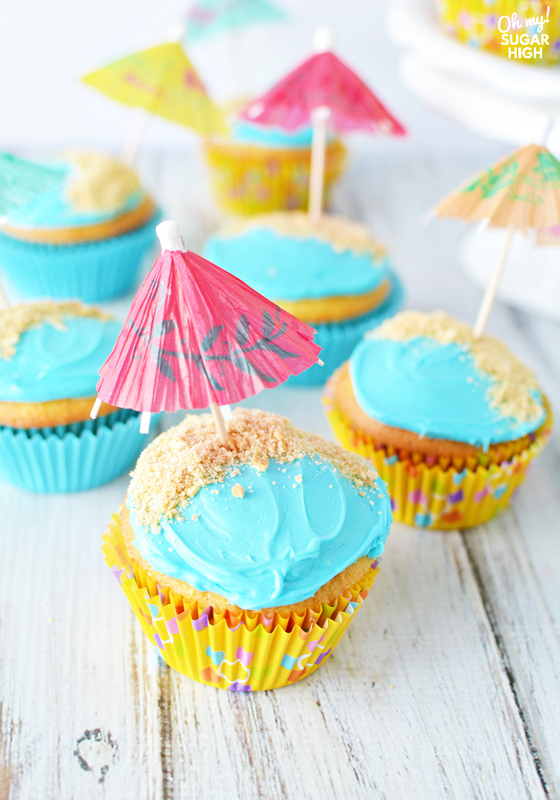 Have fun making these beach cupcakes. 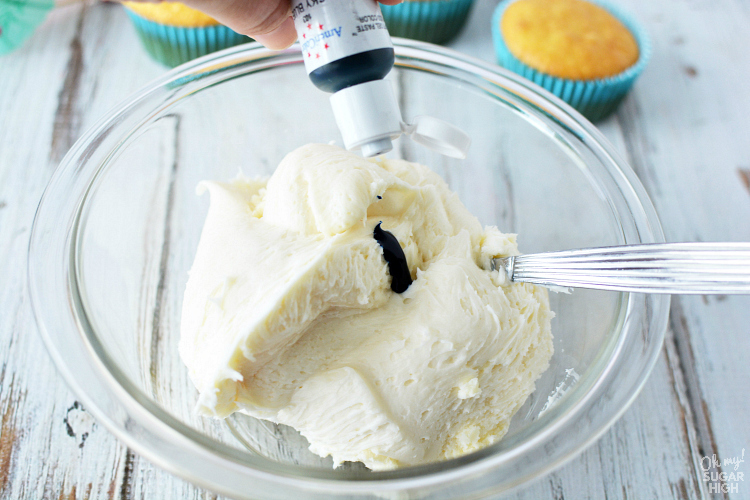 Thanks to Kari from Craft Create Cook for this sweet cupcake recipe. Looking for more water themed party ideas? 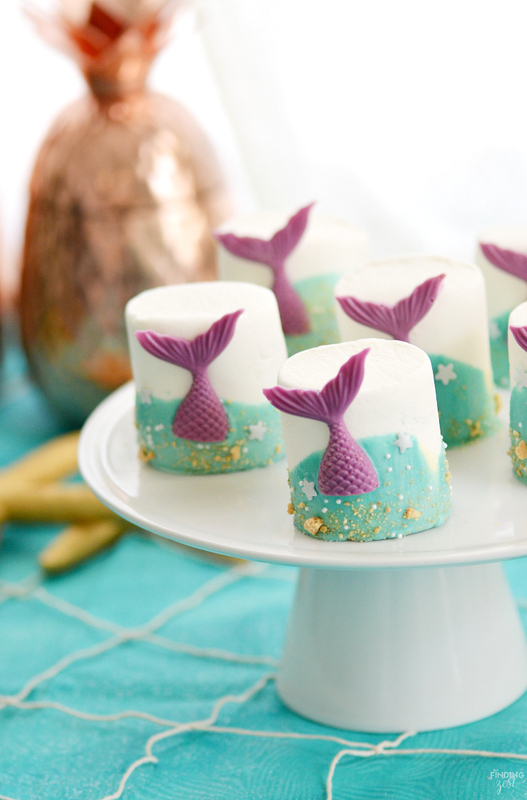 Check out all these mermaid birthday party ideas at Finding Zest!